Because no one deserves to be left to themselves. Meaningful companionship is a powerful building block in the foundation of personal fulfillment and happiness. We attempt to cater to the psychological and spiritual well being of individuals who might otherwise feel left-out, lonely and in some cases, marginalised by society, community and sometimes within their own family and friend groups. A companion describes someone who shares in the experiences of another. 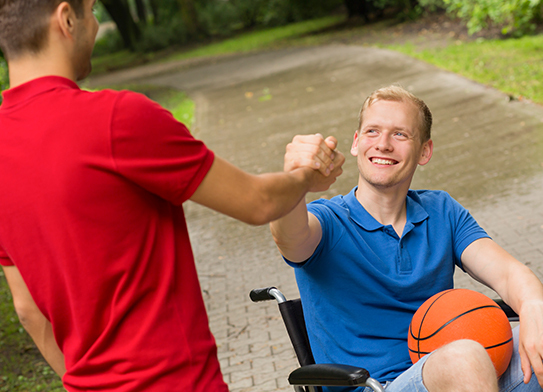 At Quality Care, the companions we identify are individuals who work to share in and help out with the day to day experiences and adventures that you or your loved one wish to partake in every day. Whether it’s a trip to the corner store, a game of bridge, a conversation in a different language or assistance driving to and from an appointment, we know you’ll love the warmth and care, exuberance and enthusiasm that our companions bring.